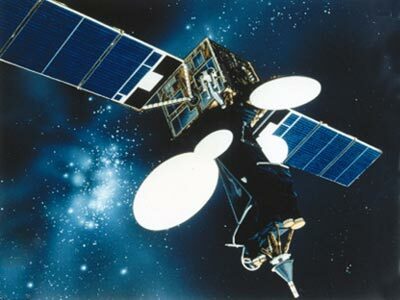 The Intelsat 5A series is very similar to the Intelsat 5 series. Modifications include a larger communications payload with internal weight savings to accommodate the additional mass. 3-axis stabilized to 0.4 deg with momentum wheels. Hydrazine propulsion system. Passive thermal control. Dual solar arrays provide 1800 W (BOL). Nickel hydrogen batteries. The payload consists of 26 C-Band and 6 Ku-Band transponders for 15000 voice circuits and 2 TV channels.